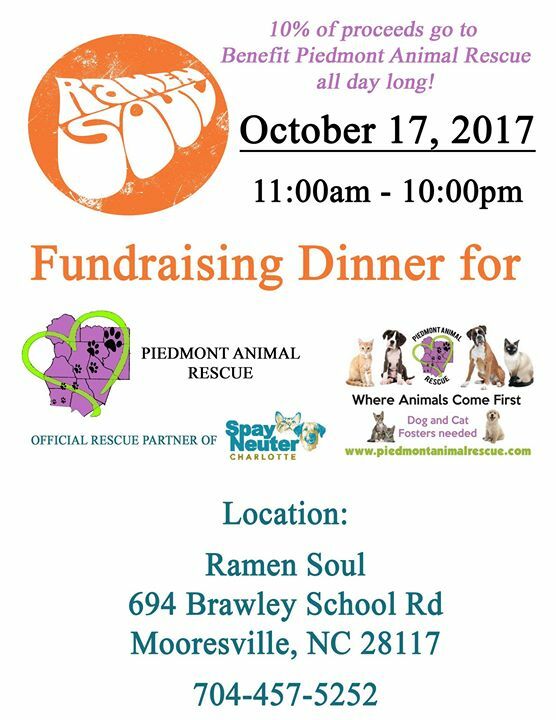 Join us on Tuesday October 17, 2017 at Ramen Soul for a Fundraiser for PAR. 10% of all proceeds from 11:00 am – 10:00 pm will go to benefit PAR. Enjoy Great Food all while supporting a Local rescue in the community! previousHow do you buy your dream home in this market? How do you buy your dream home in this market? Rawlins & Company - serving Lake Norman, Charlotte with exceptional professional real estate services. 2017 R&Co. All rights reserved.